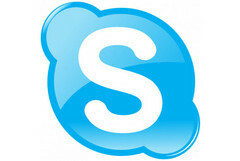 Skype will come pre-installed on Windows machines beginning with the 8.1 update next month. Ever since Microsoft bought Skype for $8.5 billion back in May of 2011, the biggest display of partnership between the two has been Skype's replacement of Windows Live Messenger. The video chat software could be poised for a bigger role in Microsoft's plans though, and that appears set to start with Windows 8.1. According to the Skype blog, the software will come preloaded along with Windows machines beginning next month with the Windows 8.1 update. The program will be front and center on the Windows 8.1 Start Screen, but it is unknown exactly how much interaction there will be with other apps such as contacts and calender. With this latest inclusion Microsoft is providing Skype with a larger platform, in a clear attempt to provide an alternative to Apple's FaceTime solution. The company does have an advantage in Skype's availability on iOS and Android, but seamless integration will be key in upending any existing products.